Ball-Pythons.net - A handsome tegu at Welsh Morphology poses for a lovely black and white photo. 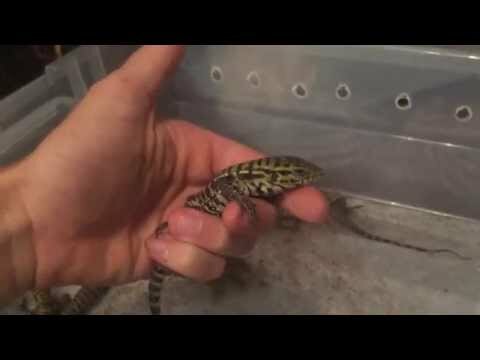 YouTube - Underground Reptiles hatches out a clutch of black flame tegus, which are the result of a Chacoan white head crossed with an Argentine red. Tegu Talk - A nice photo update shows off the great growth of a handsome black and white tegu named T-Rex.